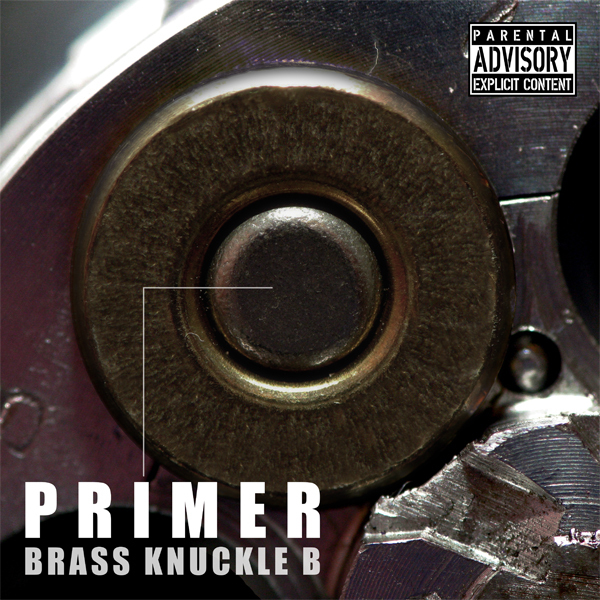 Brass Knuckle B has just released the latest project coming out of the Blak Fam Music Group camp entitled, Primer. prim·er 2 (pr m r)n.
1. A cap or tube containing a small amount of explosive used to detonate the main explosive charge of a firearm or mine. Appropriately titled, Primer is 10 tracks of gritty, raw classic New York Hip – Hop. The opening track, “Passion of the Rose” by Rozewood sets the tone of the rest of the album. Cold, haunting, bass heavy beats are coupled with Rozewood’s aggressive flow. “Cheat Code” successfully pairs old soul loops with futuristic synths; Housing Authority keeps delivery aggressive but calculating. “Written in Blood”, “Ready To Go”, “Let Me Be” and “No Games” continues the dark, heavy sounds.